The bboy world has a lot of crossover with the hand balancing world. 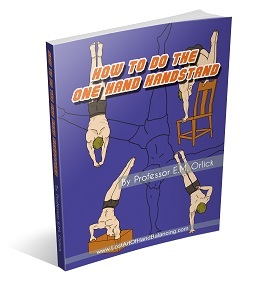 It starts with as simple as the handstand freezes. This video gives you some training tips on doing just that. There is a decent progression shown in this couple on minutes. In bboying the handstands aren’t held for long, but are short stalls, hence the name freeze, as you move from one move to the next. Still by training in the handstand as you’ll find on this site you could do a lot to improve you bboy skills, especially in handstand freezes.